The Bastille area, where we've taken to staying in Paris, is just a short walk from the Marais district. On a previous visit to the capital we discovered a house that had a flyer on the window saying it was the headquarters of the Association pour la Sauvegarde et la Mise en valeur du Paris historique (the Association for the Safeguarding and Promotion of historic Paris). The notice said the place was open to the public and you could visit the medieval cellars. We were intrigued but never managed to walk past when it was open. 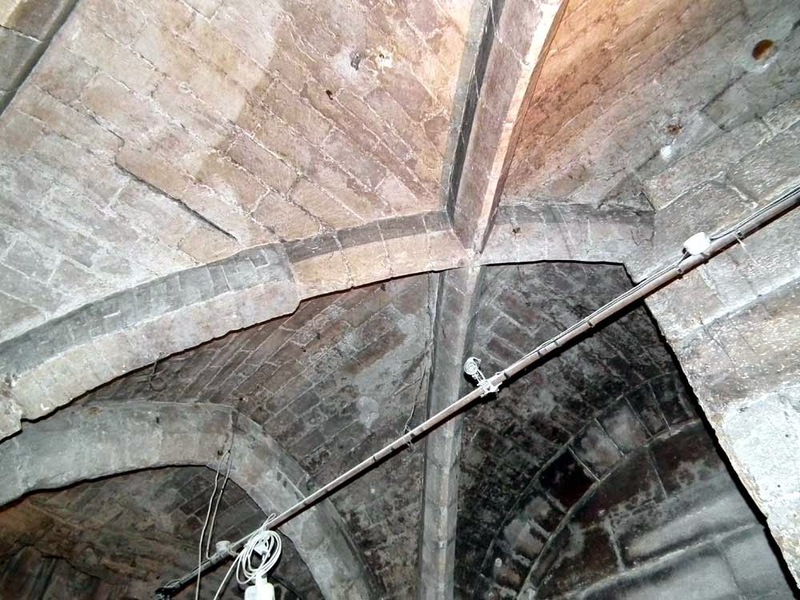 13th century ribbed vaulting in the cellar. This last trip to Paris we succeeded in getting in the building and got to explore it from top to bottom with one of the Association's volunteers, who gave us a personalised tour. We were thrilled. 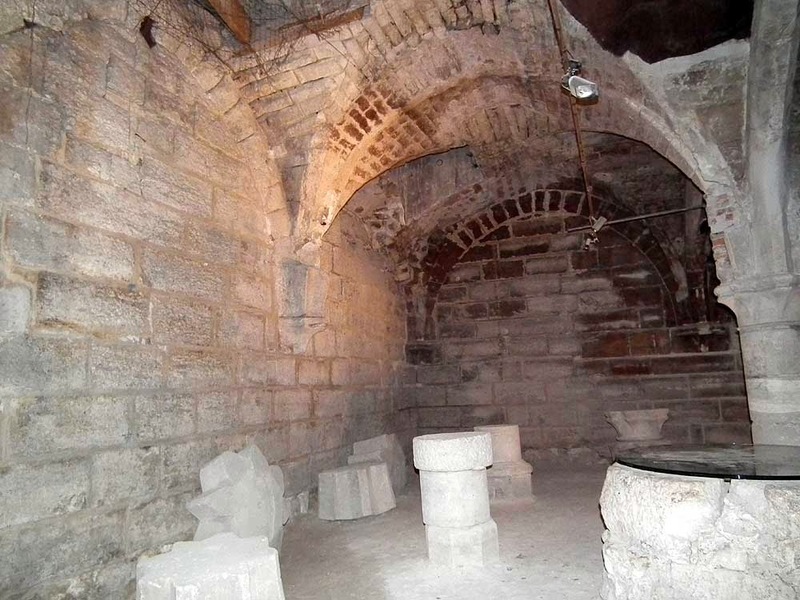 The cellar, used as a storehouse for monastic produce to be sold for profit. The house was once owned by one of the great Cistercian abbeys, Ourscamp in northern France. Like all the great abbeys Ourscamp harvested a surplus from their crops, which they sold on a commercial basis and hence became phenomenally wealthy. The abbeys built town houses in Paris which served as pied a terres for the travelling priesthood, and perhaps more importantly, as storehouses for their produce. Paris was where you got the best prices for everything and la maison d'Ourscamp is not the only example of this type of town house in the Marais. The Maison d'Ourscamp is in rue Francois Miron, but in the same street and just around the corner there are the remains of at least three more monastic town houses and warehouses. The upper floors are serviced by a 17th century staircase, acquired from another building and installed by the volunteers in the late 1990s. It matches a staircase that was too far gone to restore. The original house was given to the abbey in 1248 and they subsequently built something more grand on the site in 1267. The house saw some political intrigue in the summer of 1358, when a senior public servant who had taken refuge there was assassinated. By the end of the 14th century the monks were increasingly taking advantage of the growth of a secular bourgeoisie and renting more and more space in the building out as apartments. By the end of the 15th the building was entirely rented out to merchants and artisans. The monks were in financial difficulties by this time and finally half the building was sold to a draper in 1499. In 1585 the house and surrounding buildings were remodelled and the big house, including the cellar, divided into three. This division is still reflected in the street numbering today. In the 17th and 18th century it was still all occupied by artisan tenants -- drapers, goldsmiths, clock makers, coach hire offices, perfumers, wig makers and mercers. During this period the mullions were removed from the windows, dormers added to the roof, the frame of the building altered and openings punched into the cellar vaults. In 1740 a great courtyard door was added and the ground floor level raised. With the Revolution the abbey of Ourscamp was seized, along with all its remaining property, including the house in rue Francois Miron. The new owner was a fur merchant, and on his death his daughter let the place to a pair of furniture makers. In 1836 the owner was a widow who divided the building into 28 apartments and a shop. Two years later a school was constructed on the block which includes the Maison d'Ourscamp, resulting the demolition of virtually all traces of monastic buildings except for the former Ourscamp building. By 1941 the whole area had been condemned as unfit for human habitation and the local authority planned to demolish the whole lot. After the liberation of the city at the end of the Second World War protests finally brought the demolitions project to a halt and a plan to safeguard the Marais was produced. 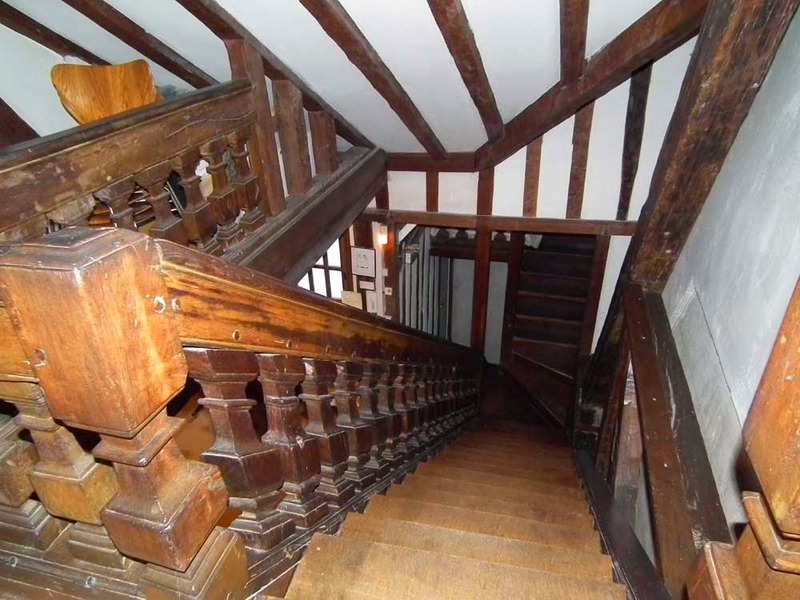 In 1961 the volunteers who would shortly found the Association pour la Sauvegarde et la Mise en valeur du Paris historique started agitating and were ultimately able to acquire the Maison d'Ourscamp from the city for a peppercorn rent. The deal included an assurance that the volunteers would take on the cost of restoration. They got to work with a will, taking thousands of photographs and producing archaelogical and architectural surveys. Later in the decade the first of the urban heritage laws were introduced, ensuring that the building and its surrounds would be protected. Volunteers worked on the house until 1970. Two thousand tonnes of rubble was removed from the building. Sixty tonnes of that was from gothic cellar, with the work greatly hampered by the narrowness and steepness of the staircase. Then they tackled the roof repairs and demolished a chimney stack that was threatening to fall. The walls that divided the house into three in the 16th century were removed. The building wasn't listed as a historic monument until 1966, and the work continues today much more slowly and as funds allow. The Association relies entirely on donations, volunteers and the occasional small grant. If you get the chance go and visit them. You will get a warm welcome and it's a chance to see some very high quality medieval architecture. The cellar is amazing and so are the jakes which hang over the small internal courtyard (and have been converted into the modern visitor toilets). A la cuisine hier: Deconstructed Shepherds Pie -- that is to say, I took a tray of Simon's savoury mince and a plastic box of mashed potato out of the freezer, heated them up in the microwave and served them. and as for the history! then charged £80 for a quarter of what you served up!! The cellar is indeed amazing. Do you have any pics of the outside of the building? No, curiously we have never taken pics of the outside of this building, although we have lots of photos of the buildings on the other side of the street (which include the oldest house in Paris and a restaurant with a classic car).